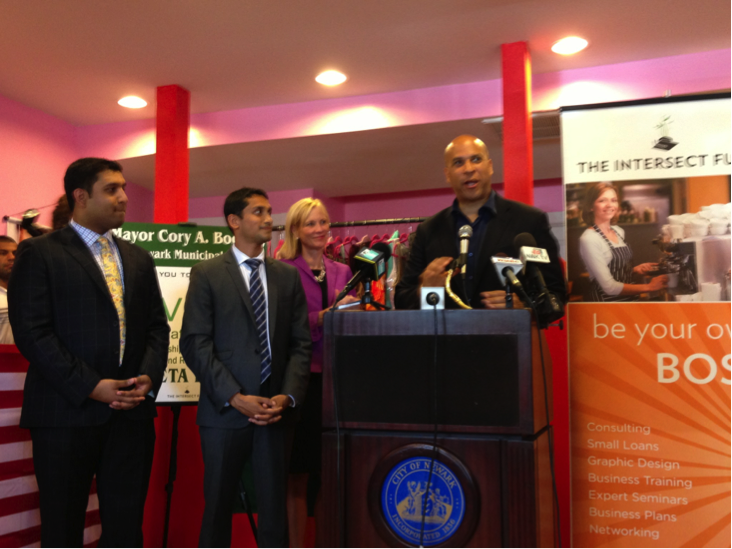 Newark, NJ: Kiva's Newest Kiva City! Earlier that morning, on what had to have been one of the hottest days so far this summer, a great group of Kiva.org and Kiva Zip borrowers and trustees, as well as Kiva partners and supporters, The Intersect Fund and The Rita Allen Foundation, gathered for a press conference to laud the benefits of Newark's new status as a Kiva City. Kiva.org and The Intersect Fund borrower, Elizabeth Hudzik and her husband Samuel, were gracious to host us at her boutique. With the Kiva City distinction, Newark joins the ranks of Little Rock, Los Angeles, Detroit, New Orleans, and Washington, D.C. in the role of connecting local civic leaders, community organizations and financial institutions to help build awareness of Kiva amongst small business owners. Newark has had its share of economic hardships, but amidst the challenges is an exciting, dynamic spirit of entrepreneurship. This spirit is furthered stoked by a variety of local organizations that provide technical assistance, training programs and more, many of which Kiva is proud to call trustees. While there is no lack of motivation or innovation amongst the entrepreneurs, there is a frequent lack of capital - which is where Kiva comes in. With a total of six loans already fundraised and being put to good use and another nine loans currently posted on Kiva Zip, the future is bright for these incredible entrepreneurs. 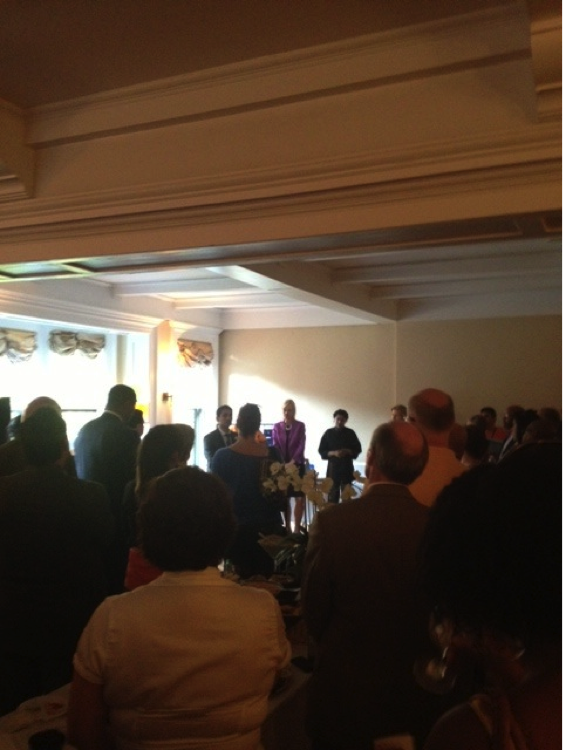 Following the press conference, the celebration continued Monday evening at the new (and beautiful!) 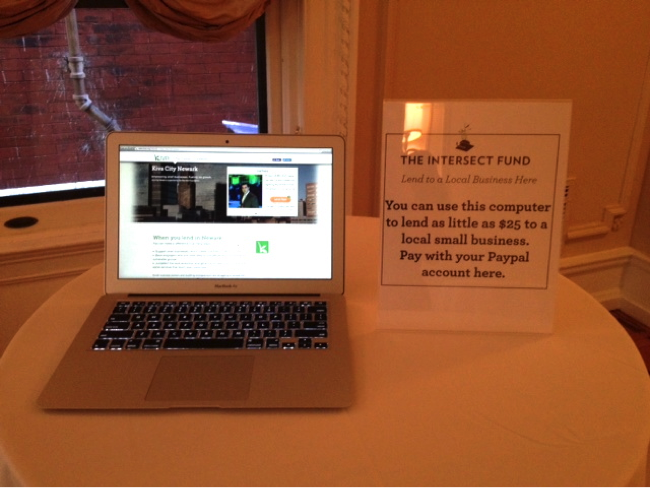 office of The Intersect Fund. The event was deliciously catered by Kiva.org/The Intersect Fund borrower Adrienne Fudge and presented a wonderful opportunity for borrowers, trustees and Kiva supporters to connect. Computer stations set-up to promote our Kiva City Newark entrepreneurs! After a few busy weeks spent preparing for the big day, it was incredible to feel the energy buzzing through the room. Everywhere I looked trustees were proudly introducing the entrepreneurs they had endorsed, entrepreneurs were swapping goods and business cards and everyone was eager to work together to create a prosperous economic future in Newark. To learn more about each of our entrepreneurs and make a loan (or two! 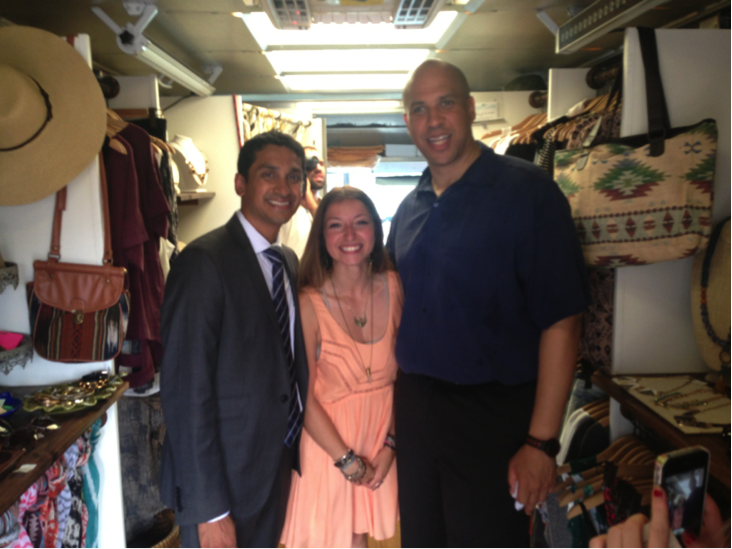 ), please visit kiva.org/Newark.